Today, we went to see the movie I’ve been waiting for: Logan. It was intense in ways beyond just the action it’s know for. It also kicked off my spring break, a much-needed break. Today, we went to a terrarium bar to make our own terrariums. I think I found another new addiction. After we went, spoke to my parents about the experience, and I discovered my grandma had a similar love. Could it be genetics? Regardless, I can’t wait to make more! Today, we enjoyed a pre-birthday celebration with a greenbelt hike, trip to Ikea, pizza, cupcakes, and cold rain. Though my birthday is in February, it always seems to be hot in Texas then. This year, I got a change. Hooray! …on the 23rd floor. Today, we set out in our coldest day in Austin in a long time to enjoy some Laughter on the 23rd floor. Though I was “that person” – you know – the one who coughs the entire time, I’m thankful to share some laughs with my family. Today, we enjoyed our month 11 date night. This month’s activity: a mall scavenger hunt. It was complete with many different activities – including finding a naked mannequin, monogrammed underwear, and a soft pretzel. We found the king of soft pretzels. I think I could have ate nothing but them all day! Tonight, we had a concert booked. However, we have become those “old” people so we decided to stay up closer to home, enjoy some bbq, hit up the bookstore, and check out the moon. All in all, I say we made the best choice. 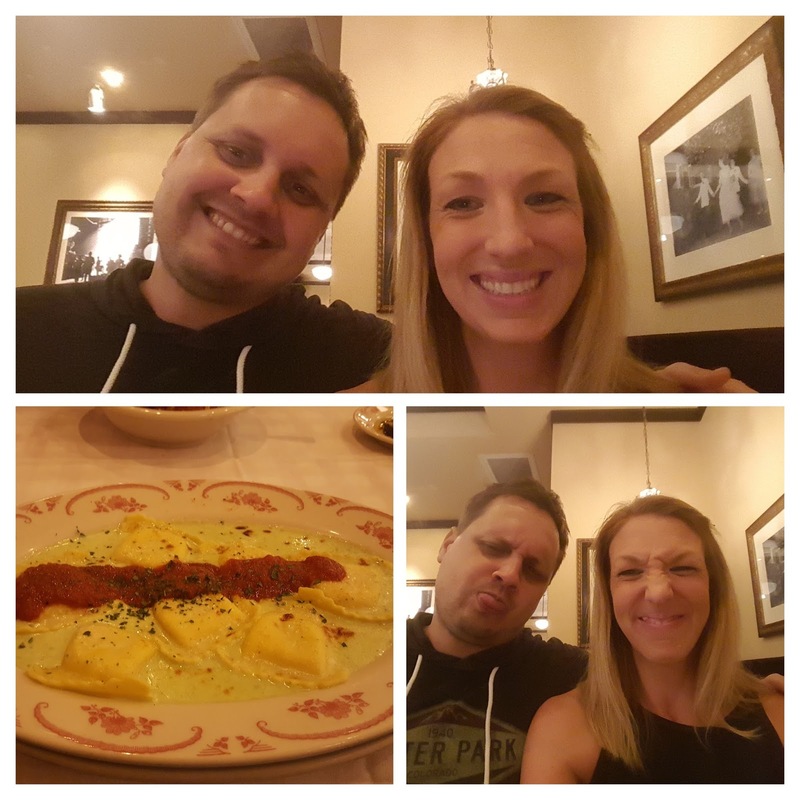 Today, we indulged at our favorite “fancy” restaurant, Magiano’s. With the great couple’s deal, we took a bite of chocolate crime in the form of a chocolate mouse cake. It was like the Great Wall of Chocolate! And, though my belly is not so thankful now, I’m thankful for a night to indulge. It’s been a week of…Stranger Things. 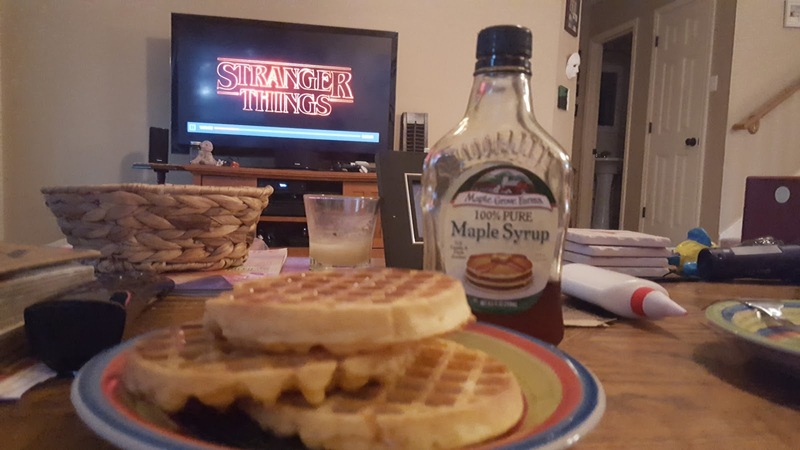 Today, we ended it by watching the final episode of Netflix’s The Stranger Things and eating Eggos, a staple of the show. I’m thankful for a week of imagination and inspiration.